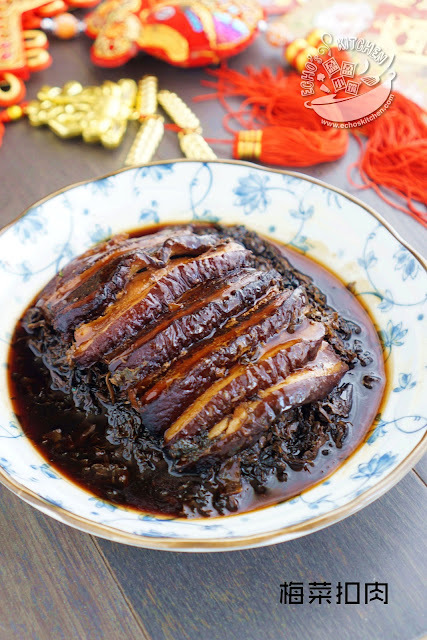 Mui Choy Kau Yuk (Pork Belly with Preserved Mustard Green) is a classic Chinese party/New Year dish. 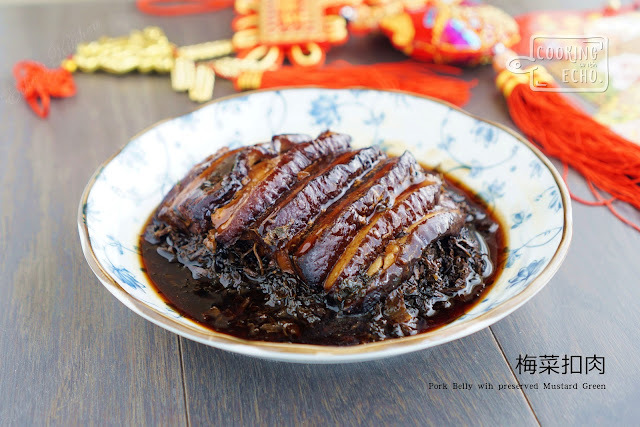 The Pork belly in it releases enough fat to compensate dryness of the preserved mustard green, and the preserved vegetable gives the dish its signature aroma and distinct taste. 1. Soaked and washed the preserved Mustard Green thoroughly. 2. Cut pork belly to about 4 inches in length and add it to half a pot of water with scallions, 2 slices of ginger, 1 tbsp of cooking wine. Bring the content to boil and cook at medium heat for 10 minutes. Transfer the pork belly to a plate and pat dry with kitchen towel. 3. 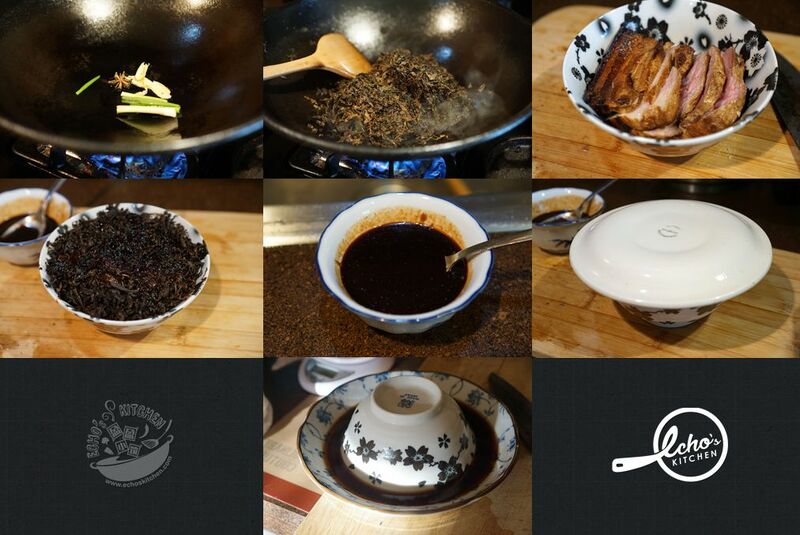 Rub dark soy sauce all over the pork belly. Heat 1 inch of oil in a wok/cooking pan. Fry the pork belly with the rind side down. Beware while executing this step, the oil splatter like crazy at the beginning though. I cover the pan/wok with a piece of kitchen towel to prevent being burnt. 4. Once the rinds are fried into golden brown in color, turn the pork belly and lightly fry the sides too. 5. Transfer the pork out and soak in cold water for 30 minutes. 6. 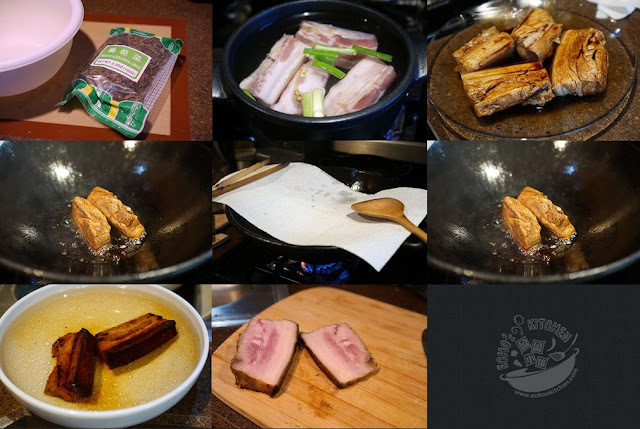 Slice the pork belly into thin slices around 1 cm. 7. In a cooking pan, heat up 1 tbsp of oil, add ginger slices, scallion and star anise and cook for a few seconds. Add cleaned, drained preserved mustard green in and cook for few minutes. 8. Mix all ingredients under sauce in a small bowl. 9. Lay pork belly slices in a bowl, top the bowl up with preserved mustard green. Lightly press the leaves down and drizzle the sauce over preserved mustard green. 10. Cover the bowl with a plate and place it in a steamer to steam for 3 hours. Flip the bowl over a serving plate and pour the sauce into a small saucepan. Bring the content to boil, mix corn starch with little water and add it to the sauce to thicken it. 11. 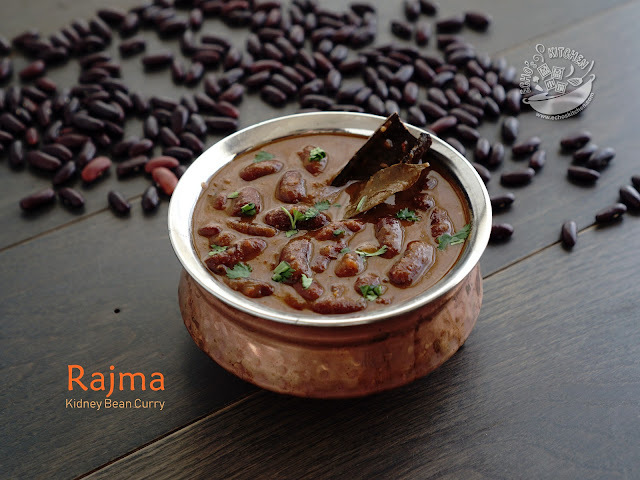 Remove the bowl from serving plate, pour the thickened sauce over the dish and serve.